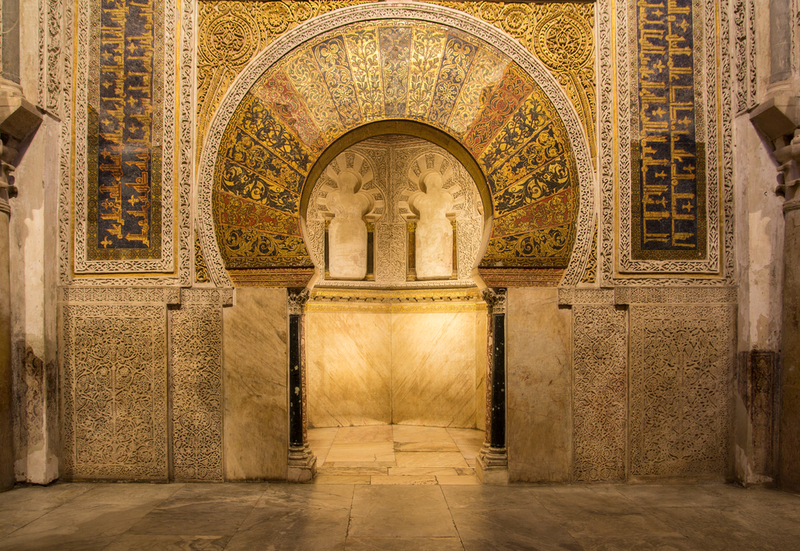 You don’t want to miss out on a visit to the Mosque of Cordoba. 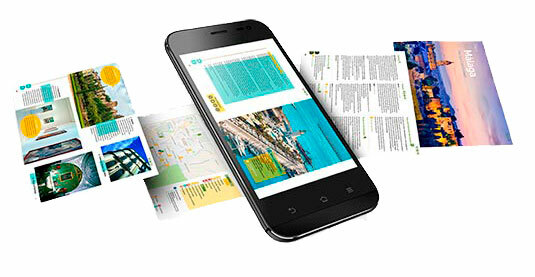 Let’s discover some of the main features that make it so unique. The Mosque-Cathedral of Cordoba is the world’s third largest mosque, and it has inspired the architecture of all those that came after it. 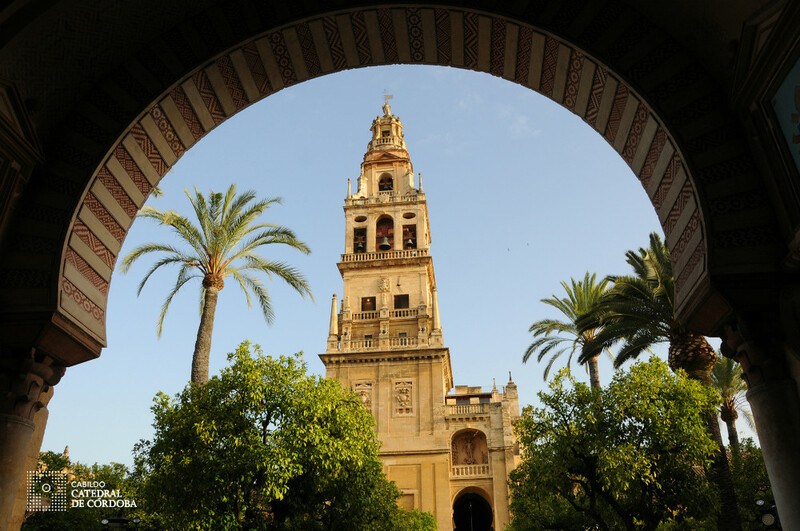 As part of the city centre of Cordoba, you can’t miss the opportunity to visit this spectacular example of Muslim and Christian cultures’ mix in the Al-Andalus area. The Mosque-Cathedral of Cordoba was built in the 8th century, by the Emir Abd ar-Rahman I on the rests of a Christian Visigothic Church. He wanted Cordoba to outshine Byzantium and Baghdad in science, culture, and arts, from where he had had to flee following the overthrow of his family in Damascus. The dimensions of the Mosque kept growing, thanks to the additions by other caliphs in the following centuries. In 1236, the Mosque was reconverted into a Christian church, when Ferdinand III of Castile conquered Cordoba. The Christian rulers decided to preserve the Mosque, and instead of destroying it, they enhance its beauty by adding new spaces and monuments. During the Renaissance times, King Charles V got a cathedral nave (Capilla Mayor) added to the Mosque. However, he would later regret it. In fact, when talking with those who had asked for his permission, he pronounced the words “Habéis tomado algo único y lo habéis convertido en algo mundano”. This phrase can be translated into something like: “You have built what you or others might have built anywhere, but you have destroyed something that was unique in the world”. The Mosque’s focus point is a shell-shaped prayer niche, built in the 10th century. The mihrab traditionally faces Mecca. However, the Mosque of Cordoba’s mihrab faces south, just like the Damascus Mosque, and not south-east, where Mecca is supposed to be. Byzantium sculptors imported the gold cubes, and it was built in a small room to amplify the words of the imam (the Muslim prayer leader). The Mosque’s mihrab was entirely different from the previous mosques’, whose mihrabs used to be simple little niches open in the wall. The brick-and-stone striped arches are supported by 856 granite and marble pillars, coming from Romans and Visigothic ruins. The sun rays create awesome plays among the pillars and the arches. So stop here for a while, to enjoy the free show that takes place right before your eyes. As every other Cathedral in the South of Spain, the Mosque-Cathedral of Cordoba also has an Orange Trees Courtyard. It acted as the Mosque’s main entrance and was renewed many times during the Mosque’s history. The fountain located under the trees used to provide water for the Muslim’s purifications. Nowadays, the patio welcomes palm trees, orange trees, olives and cypresses trees. You can enter the Patio for free since the entrance tickets are sold at a kiosk located inside of it. While there, turn your head up to the sky to enjoy the magnificence of the 93-meter-high, 16th century Torre del Alminar, in which interior you can find the old minaret. Once 48-meter-high and incredibly similar to the Sevillian Giralda, nowadays the tower’s majesty is reduced to a 22-meter height. 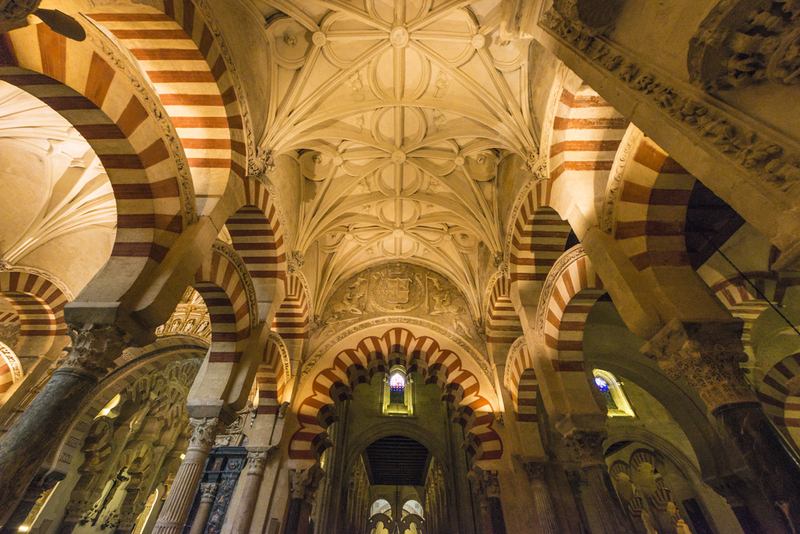 How can I visit the Mosque of Cordoba? The entrance to the Mosque costs €10/person, children between 10 and 14 years old pay €5, and children younger than ten years old have free entry. You can buy the tickets at the booking office. Early birds can visit the Mosque for free, from Monday to Saturday, from 8.30 am to 9.30 am. Those visits are individual and have to be carried along in the most religious silence. If you are looking for a place to stay after visiting the beauties of the Great Mosque, take a look at some of the best holiday homes in Cordoba and its province. Relaxation and fun will be your best friends during your stay! The Mosque-Cathedral of Cordoba is part of the largest urban centre declared World Heritage Site by the UNESCO. 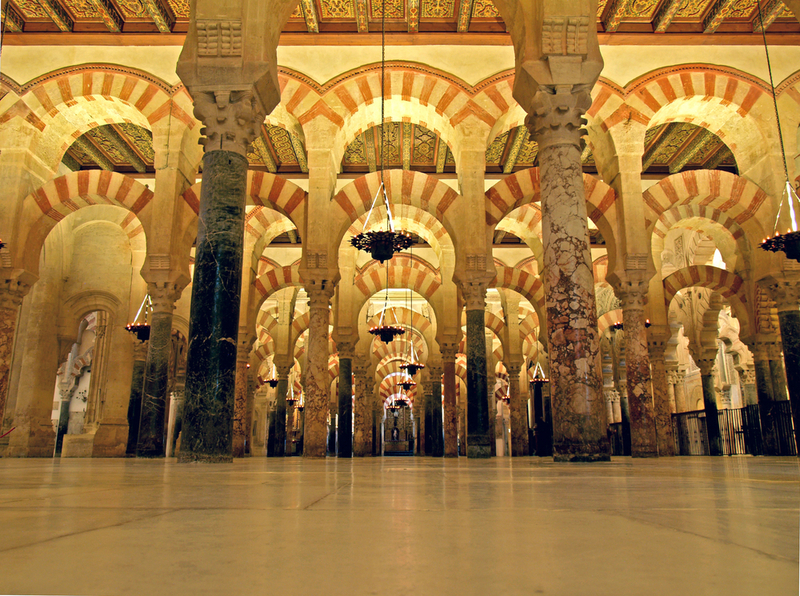 Tell us whether you have already visited the Mosque of Cordoba or if you can’t wait to go for it! Mosque of Cordoba most beautiful mosque in world.